The few months leading into a new iPhone launch are exciting for Apple fans, particularly as pictures of new iPhone parts seemingly start to crop up on the Internet on an almost daily basis. We’ve already seen the leaked sapphire panels for the iPhone 6, flex cables, the rear case and, heck, we even have our own dummy unit in house. 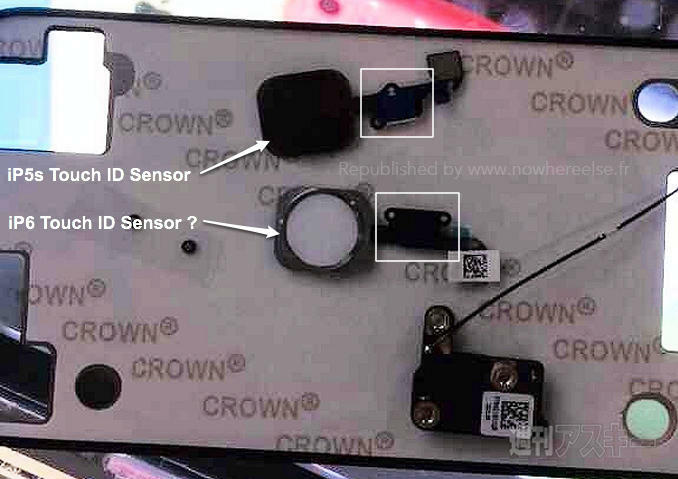 Now we’re getting a look at another leaked part: the iPhone 6 Touch ID sensor. The part allegedly spilled out of Taiwan Semiconductor Manufacturing Company (TSMC), which is a well-known Apple device manufacturer and has been named in the past as a Touch ID partner. 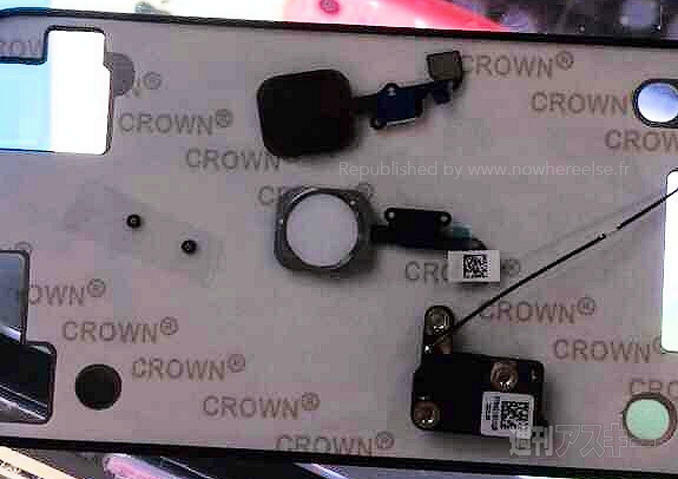 It might not look like much, but MacRumors suggests that the picture you see above is a refined version of the Touch ID sensor that was first introduced in the iPhone 5s last year. TSMC is allegedly using a new manufacturing process that will improve the durability of Apple’s next generation Touch ID sensors. 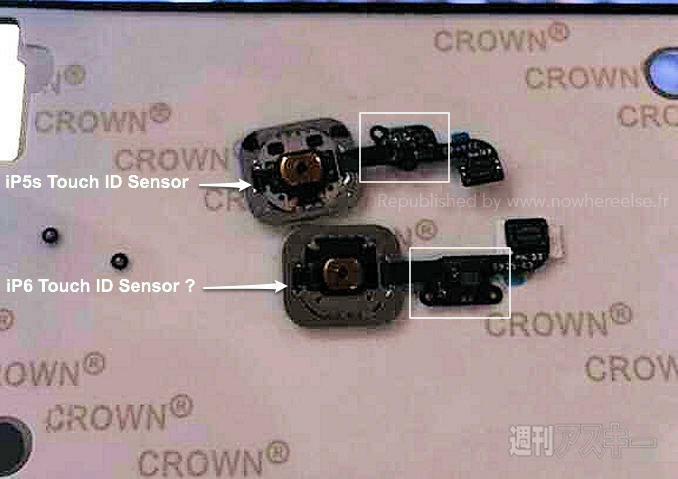 In one picture we can see the front of the sensor, which likely has the same sapphire coating that Apple used on the iPhone 5s Touch ID sensor. We expect an increased number of component leaks as September approaches and Apple prepares to reveal the iPhone 6 and, perhaps, maybe even the larger 5.5-inch iPhone Air.